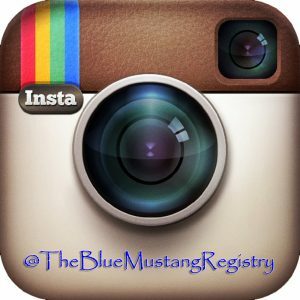 Welcome to the Blue Mustang Registry! 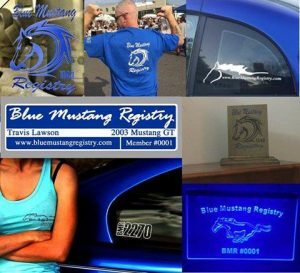 We are a club of passionate Ford Mustang owners representing any shade of blue! Our friends at CJ Pony Parts have compiled a list of the best shades of blue! Did you make the list? 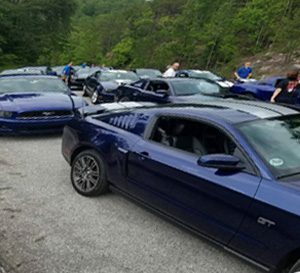 Thank you to Carolina Regional Mustang Club​’s President Mark Hunter​ and Vice President Michael Francis Shorkey​ for joining us on our 2018 Scenic Stampede. Michael has written an article on our Scenic Stampede and wanted to highlight a point in the article! We hope to see them and more CRMC members at the 5th Annual Scenic Stampede! View the article in it’s entirety in their newsletter at the link below! “There are many things that will get a Mustanger’s heart pumping: setting a personal best elapsed time on the track, getting the “Best in Show” award for your pampered pony, but to really get it pumping nothing beats a great twisty, windy road! VMP Performance has joined our list of sponsors for the 5th Annual Scenic Stampede! From tuning to superchargers, see VMP Performance for your performance needs!